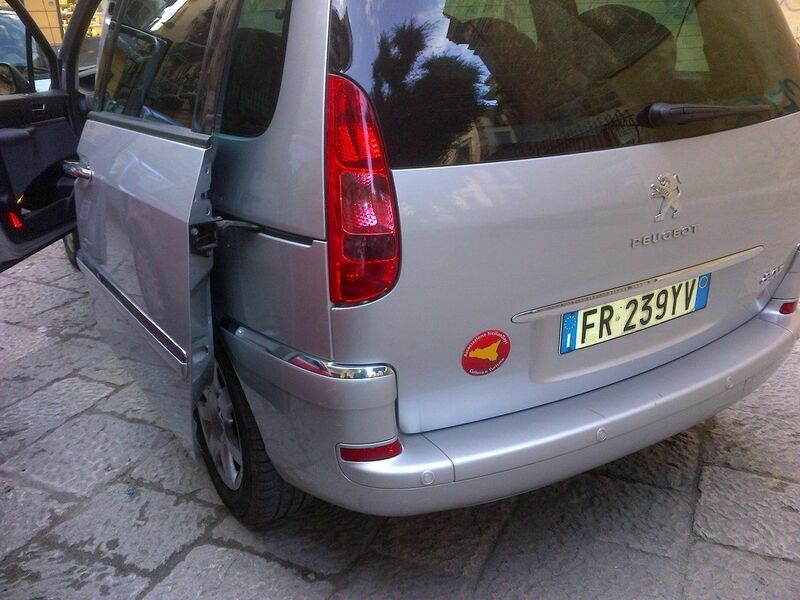 If you need a taxi between Palermo you are in the right page! Transfer between Palermo to Taormina. 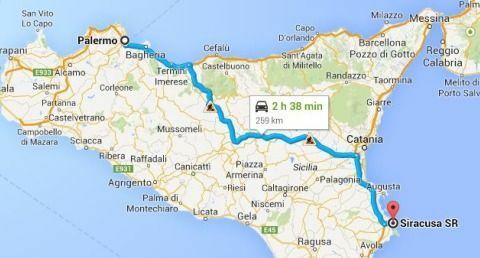 The distance between Palermo and Taormina is 274 km. ( 170.154 Miles ) One way. Transfer between Palermo to Syracuse. 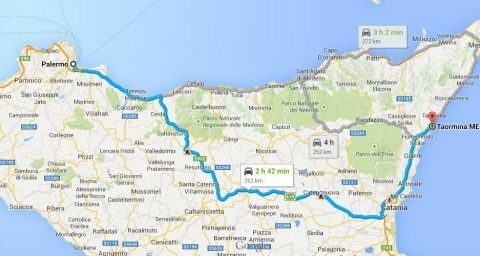 The distance between Palermo and Syracuse is 270 km. ( 167.670 Miles ) One way. Transfer between Palermo to Noto. 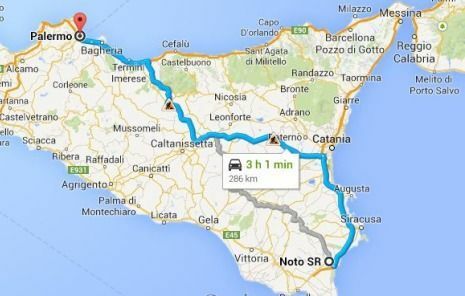 The distance between Palermo and Noto is 294 km. ( 182.574 Miles ) One way. Transfer between Palermo to Piazza Armerina. 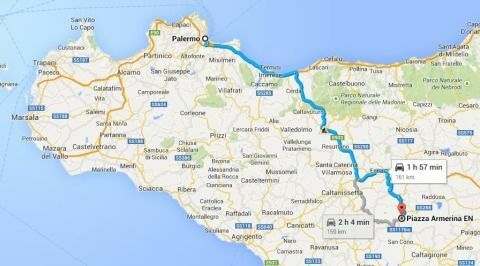 The distance between Palermo and Piazza Armerina is 168 km. ( 104.328 Miles ) One way. 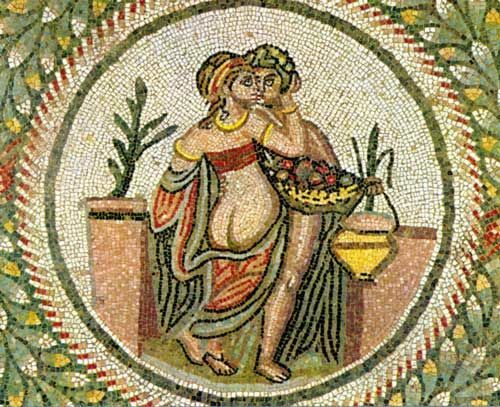 PLANNING A DAY TRIP TO AGRIGENTO FROM PALERMO? 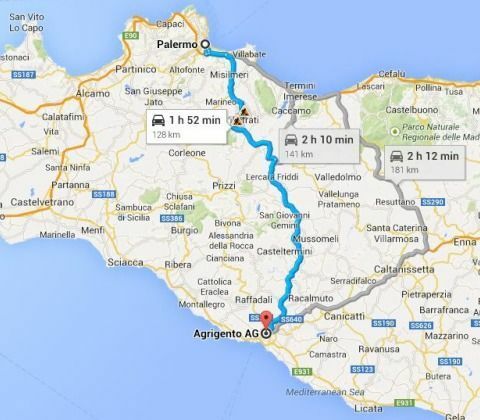 The distance between Palermo and Agrigento is 134 km. ( 83.214 Miles ) One way.